Did you know you don't have to buy the whole wardrobe at once? 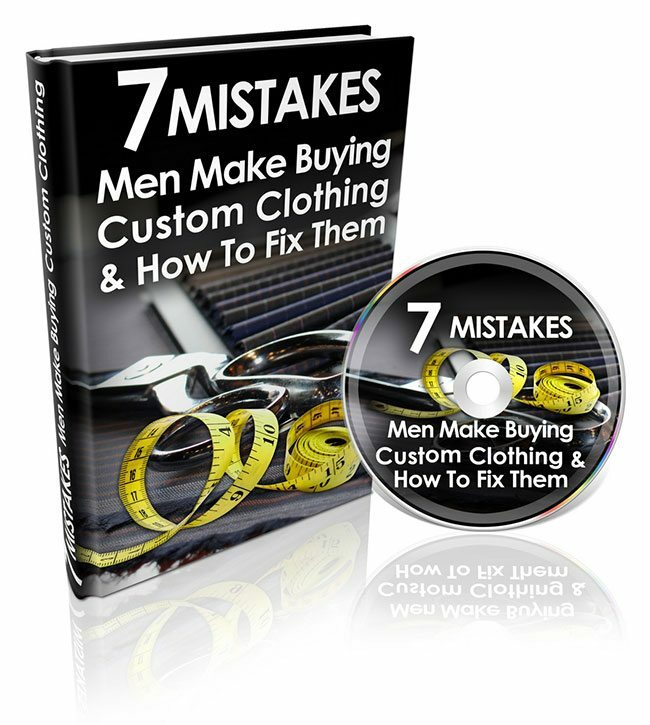 The biggest mistake a guy can make, when he decides to buy custom clothing is to run right out and order half a dozen suits and a dozen shits from a single tailor. Prices are going to vary widely depending on the skill of the tailor, the level of customization, local economic conditions and the cost of the raw cloth used. Custom tailoring can be broadly broken down into two categories: made-to-measure and bespoke and it is important to know the difference. Customization can be intoxicating - a skilled professional can make you literally anything you want to wear. However, it's worth remembering that well-made custom clothing lasts. It's not a short-term investment. Custom tailoring isn't retail shopping. You're essentially commissioning a piece of custom craftsmanship. Shop around a bit first. Compare cloth options, clothing styles, customer service, and yes, price! Tailors' secret: even the most detailed measurements aren't precise! They can get very close. But numbers on paper are still only going to be an approximation of the body the clothing eventually has to go on so repeat trying several times. This is where custom clothing — if it's selected wisely — can earn its high price tag. Wear a $1000 suit to a single gala event, and that evening of looking good cost you $1000. But if you wear it to the gala and the wedding, it only cost you $500 to look good at each one. Almost no custom tailor will be providing your entire wardrobe. Shirts, suits, jackets, trousers, and overcoats, yes. But the rest is completely up to your discretion — and that's where a lot of people stumble.